Highly desirable, 10th floor condo in prestigious High Point Place. 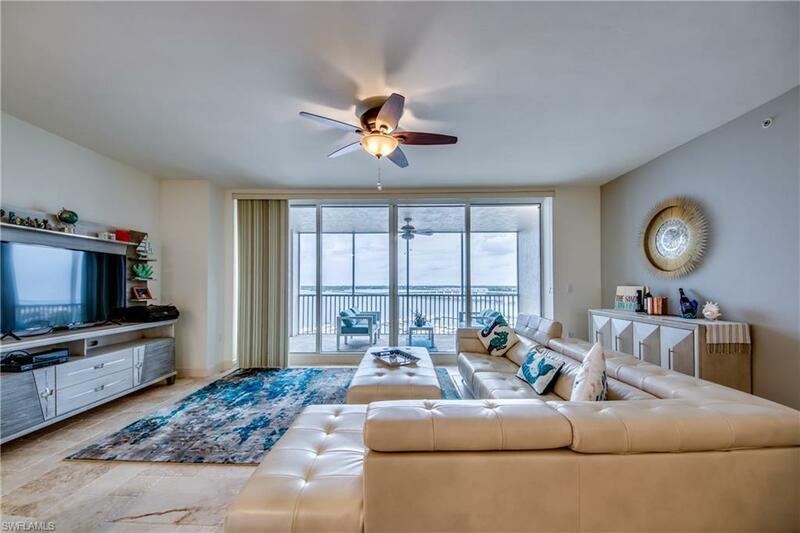 This two bedroom + den, 2 bathroom condo offers a fantastic view of the Caloosahatchee River, the marina and gorgeous city views at night. Features include granite counter tops and stainless steel appliances, travertine floors throughout, and a large laundry room with utility sink. The master bedroom overlooks the river and the large ensuite features a garden tub, separate shower, and double vanities, not to mention a huge walk-in closet. You will enjoy the high security of the building including a secure elevator that leads to your own private lobby. Amenities include: community room, private meeting rooms, exercise facility, outdoor bbq grills, heated pool and spa, & so much more, all overlooking the river. Grocery store, pharmacy, Bennett's coffee shop, and other restaurants are located 1 block away. Downtown Fort Myers is just a 5 minute walk, where you will enjoy shopping, restaurants, art galleries, parks, and theatre. There is even a Farmers market downtown every Thursday. Come enjoy the Downtown lifestyle.